It’s hard being the baby in a family with bigger kids. While first-borns can safely be placed on the floor any time you like, any babies that come after run the risk of being trampled by their older siblings. 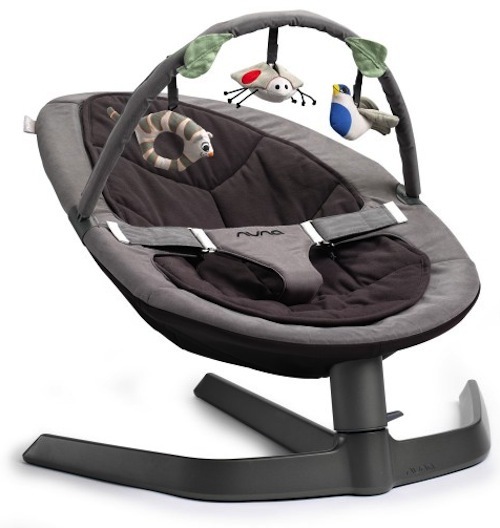 So a baby bouncer like the Nuna Leaf is a wise investment indeed. I can safely credit the Nuna Leaf with saving my own Audrey from being run over by her scootering sisters more than once (yes, apartment living does turn scooter riding into an indoor sport!). She’s also safe from the cartwheeling, the skipping, the dancing, the squabbling, the impromptu hugging and all the other usual hustle and bustle that comes when two big kids share a floor space with a not-so-big one. Plus, I know that when my littlest girl is safely strapped into her Nuna, she’s not rolling about on the floor ingesting Barbie shoes, beads or Lego pieces. 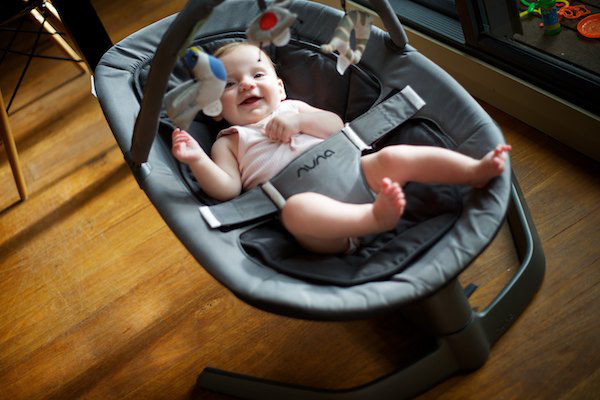 Of course, any bouncer will do the trick to keep your baby out of harm’s way, but the Nuna Leaf does it in so much more style. Inspired by a falling leaf, the Nuna Leaf looks the part and gently sways from side-to-side to the lightest touch. My daughter loves the rocking motion and usually settles quickly when I put her into her Leaf, allowing me to get through some chores, some work or that rarest of things in my world these days – an uninterrupted cup of coffee. Those are all good reasons to get your own Nuna Leaf, even if there’s no marauding herd of older siblings at your place. I’ve found the rocking motion, meant to mimic a leaf gently blowing in the breeze, works like magic to get my Audrey off to sleep, even at her most fractious. You don’t need older children to have a baby that finds it hard to settle when it’s time to nap! Now here’s the best bit. The Nuna Leaf requires no batteries. Not the one. A natural kinetic sway, there’s no annoying whirring motor noise in the background to distract or stop a newborn baby – any baby – from drifting off to sleep. Or to drive you batty, for that matter. Each touch will send the Leaf swaying for two or three minutes; it’s easy enough to send it on its way again if your baby wants more. Here’s a video to show you just how it works. Cool, huh? In fact, while this Dutch designed bouncer is suitable from newborn age, Nuna say even children past toddlerhood can comfortably sit in it – and my older girls certainly do. It’s now their favourite spot for watching a bit of TV, reading and even just relaxing. When their baby sister isn’t hanging out in it, that is. 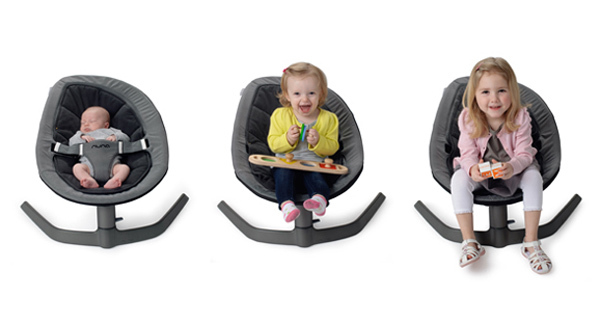 Find your own Nuna Leaf at Mantha & You in birch or charcoal for $269 on sale or $348 with an interchangeable toy bar.